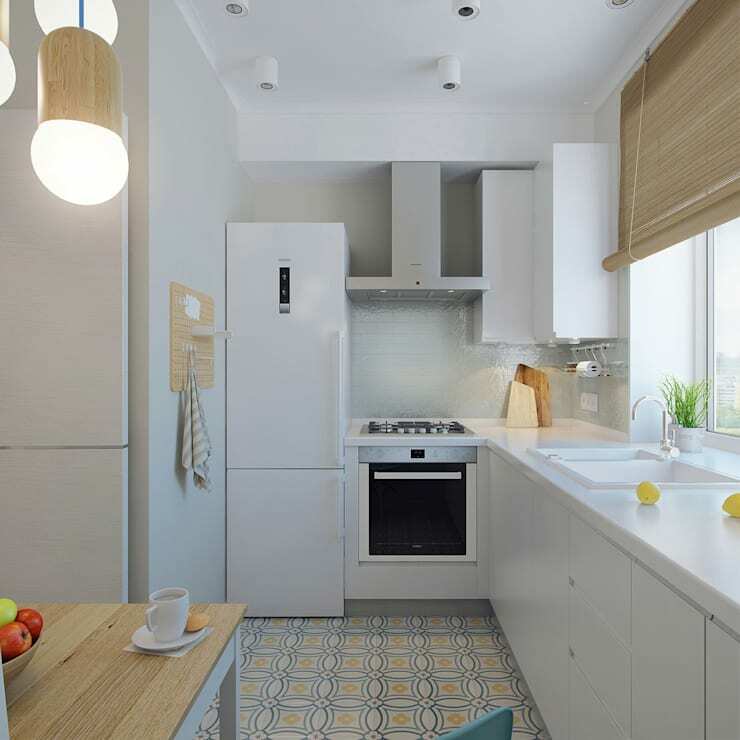 So, you have a small kitchen in your home and you're looking for ways to upgrade your decor in chic and classic style, maximising working space and storage, then an L-shape layout is probably perfect for you. This design is perfectly placed in a modern home where an open plan kitchen, living and dining area is usually the most common. Well, our 15 fantastic kitchens in this homify feature are sure to inspire you! 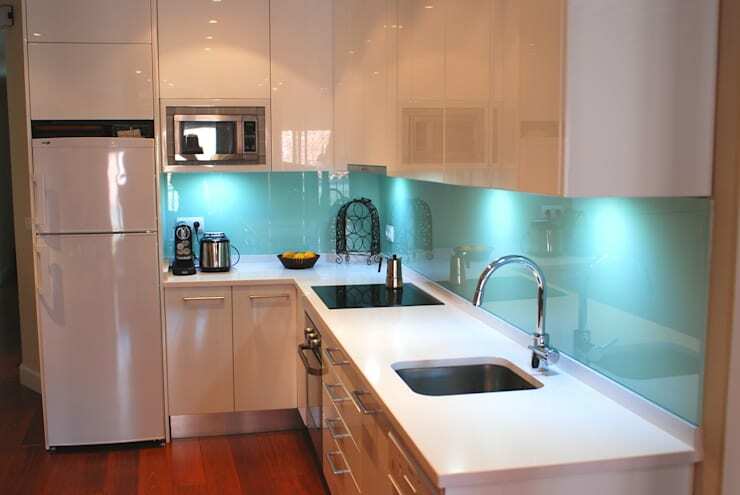 Let's take at these helpful hints for a cosy and comfortable kitchen. 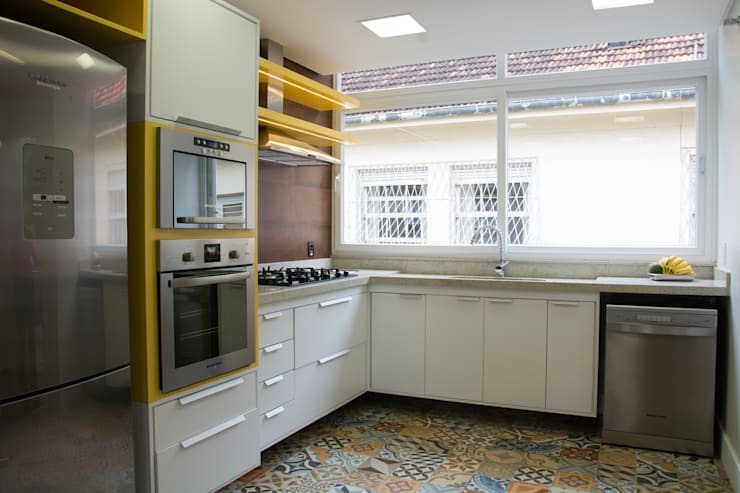 Reach the heights of design with a stunning kitchen layout that makes the most of the corner with all the appliances necessary for modern cooking. 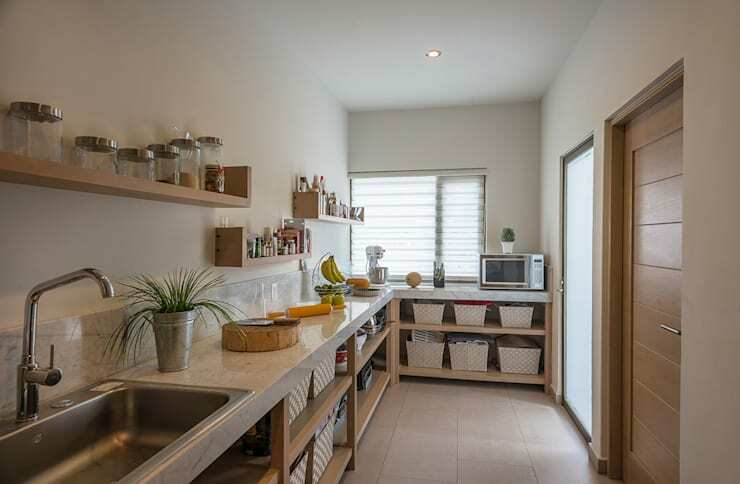 Utilise the full size of your kitchen and include shelving across the horizontal line to enhance storage. 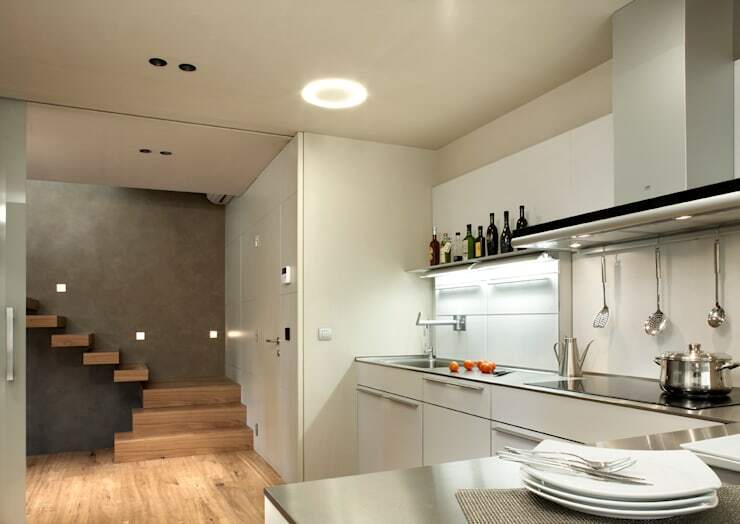 Although contemporary kitchens are a lot smaller than their old fashioned counterparts, what they lack in size, they make up for in sleek design and elegant illumination. This one is proof that you can't go wrong with all-white cabinets. 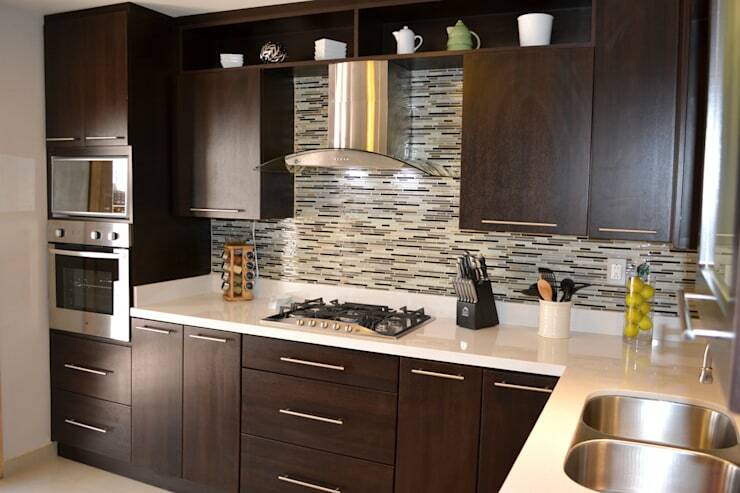 For a larger kitchen, you can still incorporate the L-shaped layout, but add a centre island for more storage and workspace, your kitchen will be convenient and uncluttered. Adapt your L-shape design to best suit the space available, think about the best way to use all your corners effectively. 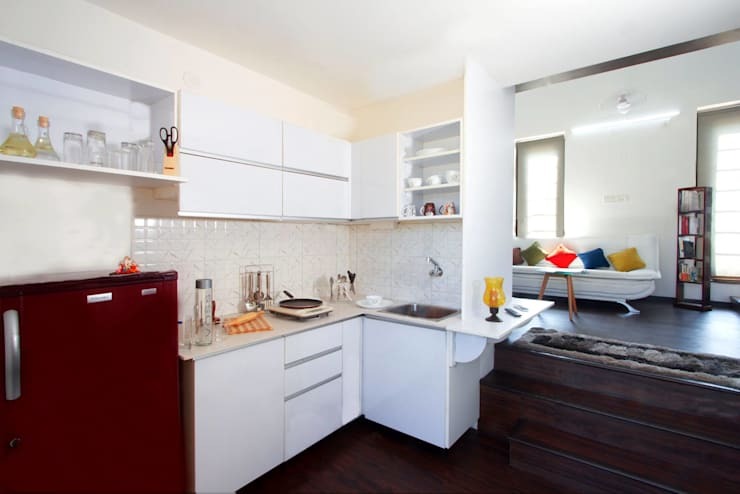 An open and fresh looking kitchen such as this is perfect for a small city apartment. 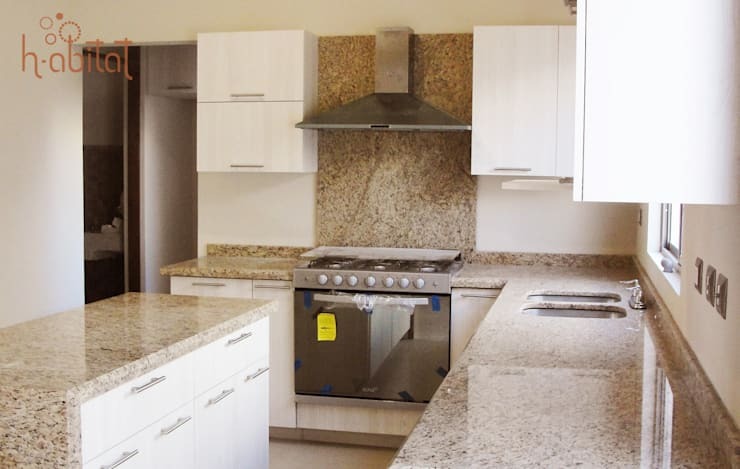 Plan the placement of your appliances long before your kitchen revamp, making your space tidier and easier to maintain too. 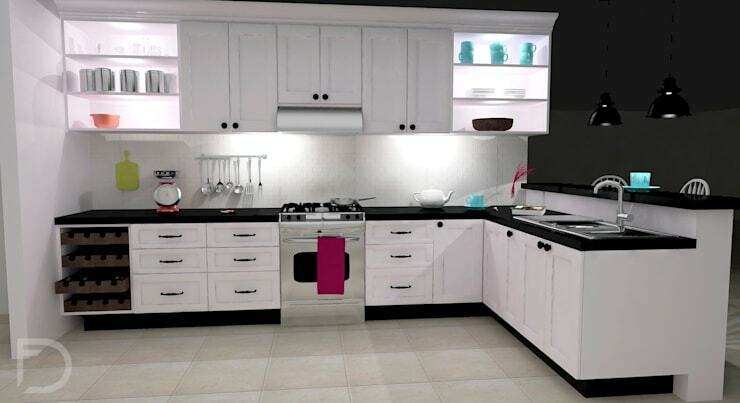 Here's another example of an L-shape design in a small kitchen, this one has a shabby chic flair that is stylish too. 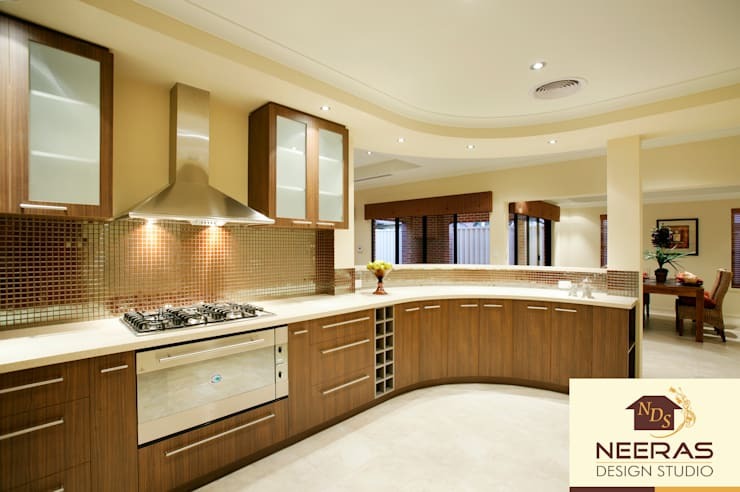 This kitchen displays that a neutral colour scheme is the best choice to create a more spacious layout. 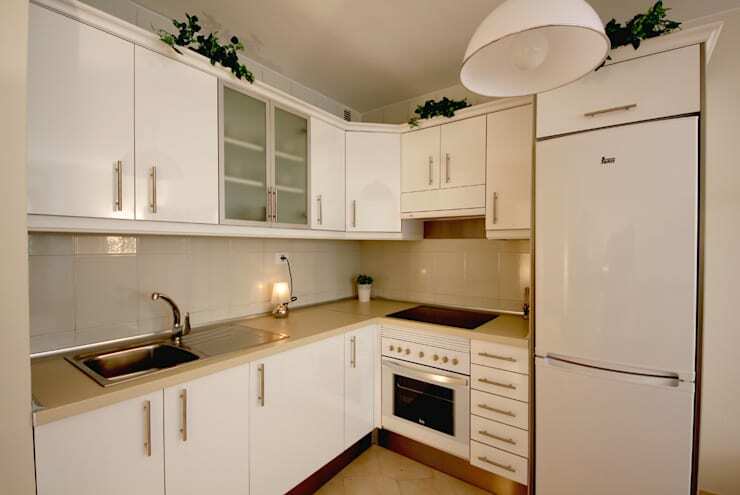 Include your appliances in the corner allowing the rest of your L-shape kitchen to be strictly storage. 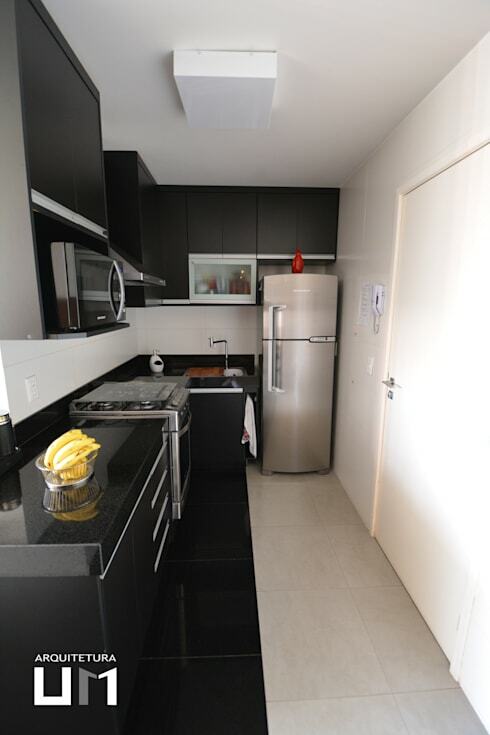 A petite kitchen means you need to be free to move around, this floor is simply unrestricted. 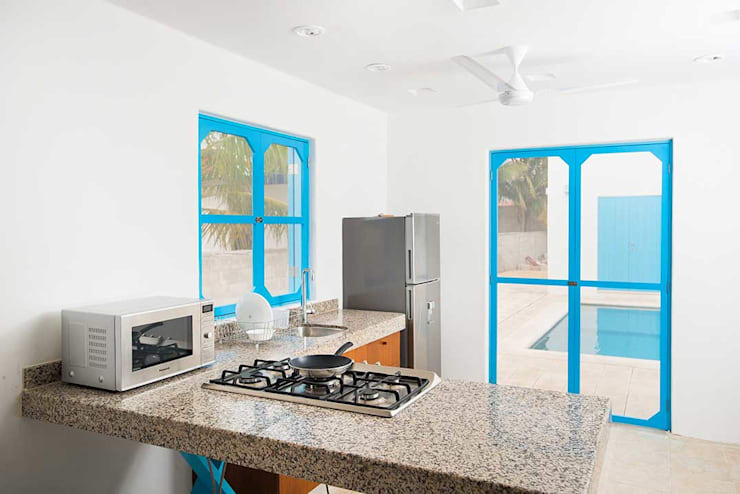 Incorporate a sliding door into your kitchen, allowing it to open out onto the terrace. 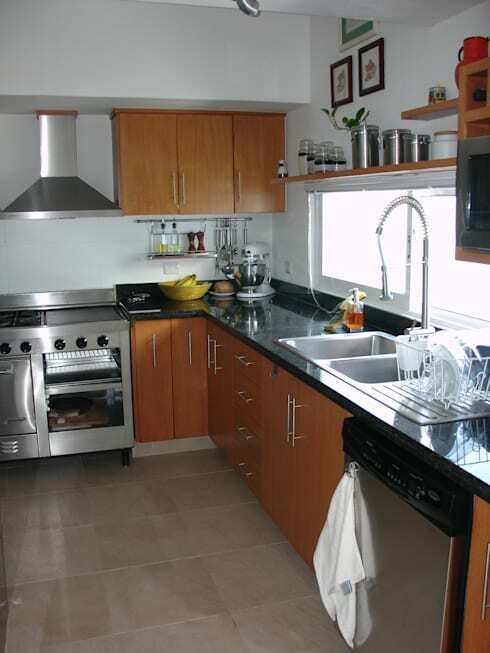 Use one side just for storage and appliances, while the rest of the kitchen should be free-flowing and fresh. Make your kitchen more sophisticated with an L-shape curve, a fascinating choice for a unique home. 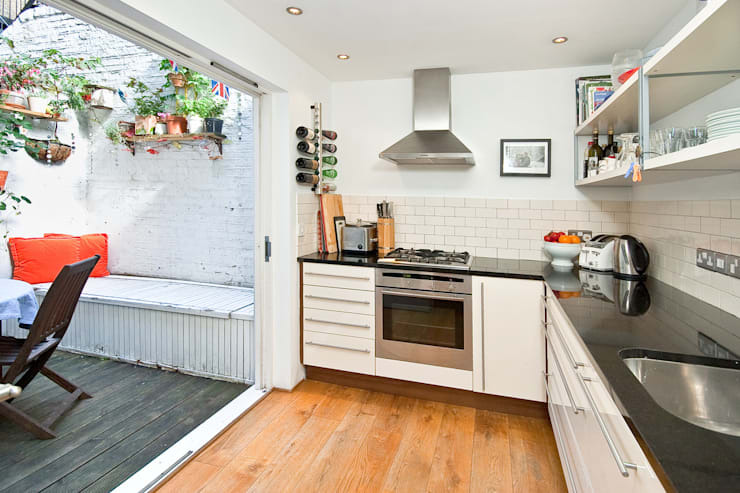 How have you upgraded your small kitchen?